The following is a list of my personal top ten FPS games. Just to be clear this list is based on how much I personally enjoyed these games not how high I score them. Also there are some rules. First off only 1 game per franchise. As much as I love Call Of Duty if I allowed more than 1 COD game on here this list would be full of them. GTA 5 First Person Mode. One of RavenSoftware’s best; Singularity is an incredibly fun game that harkens back to the days of yesteryear. When it first came out it was heavily criticized for being a blatant rip off of Bioshock and Half-Life. To that I say so what If your going to rip someone off then rip off the best. It didn’t even sell a million copies when it came out because of poor marketing. 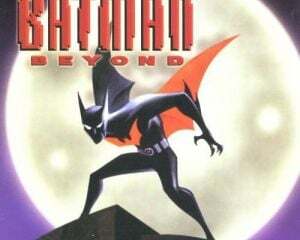 If there is one game that needs a sequel/reboot it’s this one. 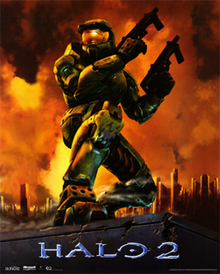 My favorite Halo game. I remember back in 2004 when I was 11 years old and my friend invited me to his house to play this game all night. The campaign was fun, but playing it with 2 people made it amazing. THis was when the franchise was at its peak. An innovative game with tons of replay value. 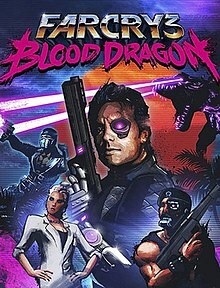 One of my favorite expansion packs ever; Far cry 3:Blood Dragon has everything fans of 1980’s action movies and Sci-Fci FPS fan could ask for. The pinnacle of the franchise; Timesplitters 2 was fantastic. It’s such a shame that not many people talk about this game anymore; because whenever I do bring it up I’ve never met anyone who doesn’t like it. 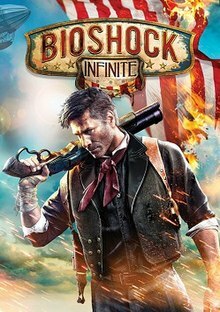 One of the defining games of the 7th Generation Bioshock infinite was a masterpiece. 2005’s Star wars battlefront 2 is my favorite Star Wars game ever. THough I played the majority of the game in 3rd person it is still technically an FPS. I remember spending hours at my friends house when I was 6 years old playing this game. 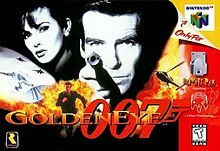 The amount of options in this game were just insane; the Single Player was so much fun, and showcased how to adapt a movie into a video game. The multiplayer had me sneaking out of my house to run over to my friends to have a 4 player gaming party. Some may criticize the game for its aged controls, but they never bothered me. I know I’m technically Cheating since this is a compilation of 3 games, but hey this is my list I can do whatever I want. MEtroid Prime Trilogy is bursting with content. So much so I’m surprised the developers managed to fit it on the disc. You get three kickass games 2 of which have improved controls from their original Gamecube releases. A modern masterpiece; Killzone 3 is one of the best action shooters ever made. It’s no wonder Destructoid gave it a perfect 10 out of 10 score when it came out. The multiplayer has so much to unlock that even after 7 years it’s still being played to this day. If you own a PS3 or PS4 this game is a must have. Before I get to number 1 here are some honorable mentions from my personal favorites. #1 Call Of Duty Modern Warfare Remastered. My all time favorite FPS game from one of my favorite developers, Ravensoftware; This genre defying masterpiece truly stood the test of time when it was remastered nearly 10 years later.